A good modernshite example is the Infiniti QX30. Built in Sunderland using a lot of Mercedes parts and been on sale here for a couple of years. Just 200 are registered on our roads. 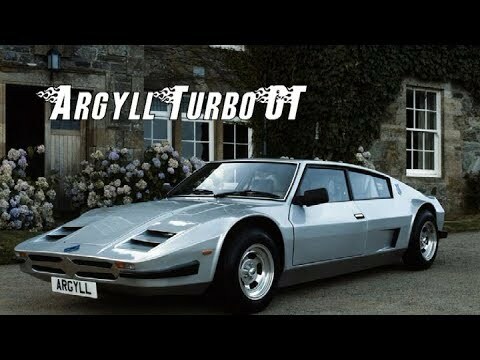 That’s an even more epic failure than the Tagora was back in the day and a total disaster for a UK-built volume car. I can't think of any UK built car from a volume maker that has sold worse. Fairly common around here, my best mates Dad has one! You weren't. UK sales were Harlequin. Over the water: Harlekin. Does it still have that Alfa briefcase / luggage set in it? Anyhow, survival is pretty good, 58% survive!! Only 21 Ambassadors left according to HML. Never really justified the development costs for its 18 months run, only really caused by the delays to Maestro and Montego. Very useful, if held back by a criminally short top (4th gear). Good enough for John Shuttleworth. The AA Drive and Trail magazine from 1982 that has been passed around a few shiters now features some Ambassadors that were registered in November 1981. This makes me wonder if the Ambassador was originally intended to be launched earlier than it was. My C32 estate is a rare beastie. I think they made around 150 RHD estates in total. Mad production line, shell built in Sith Efrika, shipped to Mercedes DE for interior etc, then to AMG for the engine and running gear. No wonder it cost £20k more than a 320. I think lots of harlequins probably got sprayed one colour after sitting on a forecourt for a few months. A mate used to have one years ago that I turned down buying off him... I regret that now! I love how widespread my older Flickr photos are now! Funny story with that one, I had to spot it twice as some prick stole my camera at Putney station the first time round. 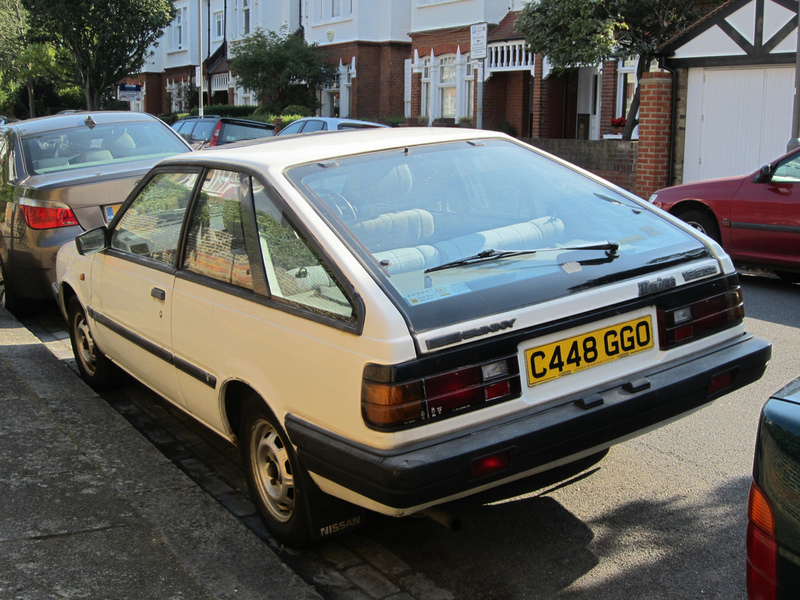 I also nearly bought a Sunny Coupe, but the owner sold it before I got to view it. 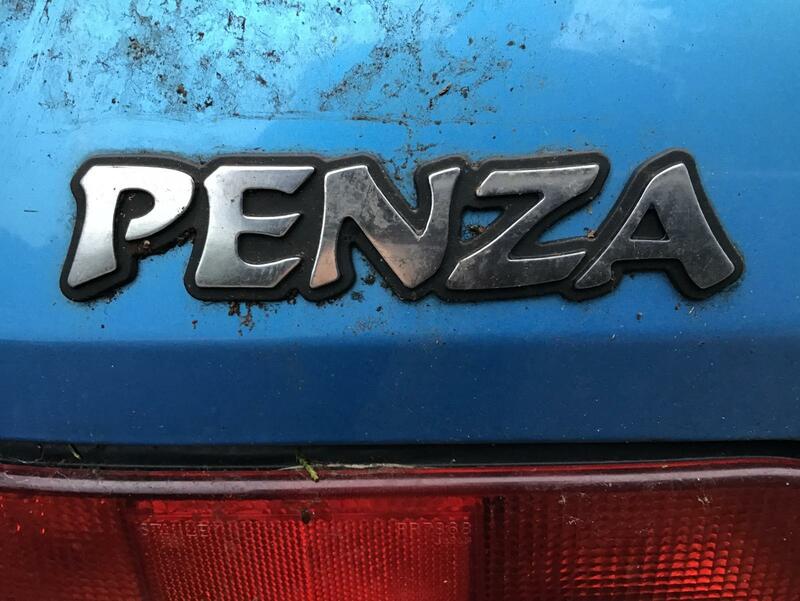 Typically it's now been on and off various sales sites with the wheeler dealer who got it. A mate used to work for a VW dealer at the time and that's what often happened if the place had a bodyshop onsite! 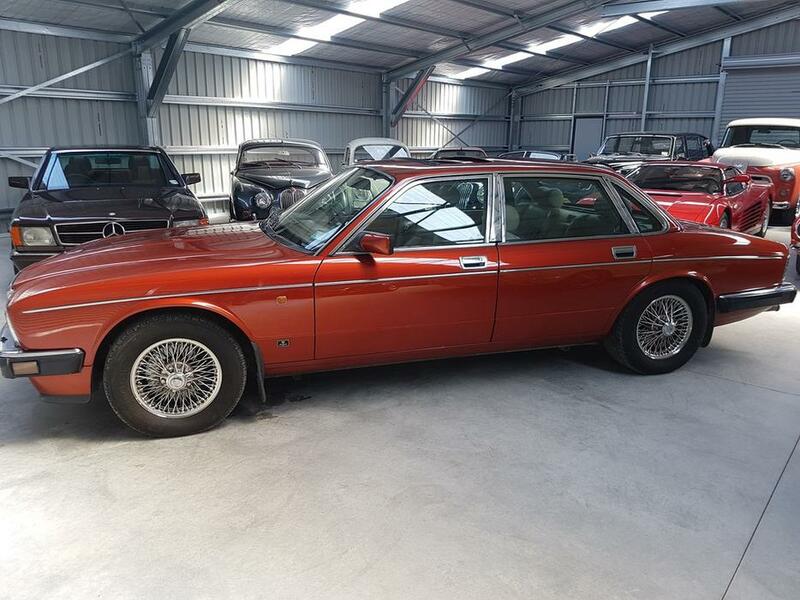 He said they used to take them (under 2 years old at the time) in p/ex for a miserably small amount of money, tidy them up, put 'em on the forecourt, if they didn't move in two months, they got re-sprayed in a colour of the first interested parties choice. It's Harlekin in germanland, Harlequin in GB in a total of 113 cars there. No suggestions from here, but I listened to the first couple of episodes last night. Good fun, thank you! I took my driving test in one of those. Thanks for checking out the Podcast! We do put a lot of work into it so we are always glad when someone enjoys what we are doing. 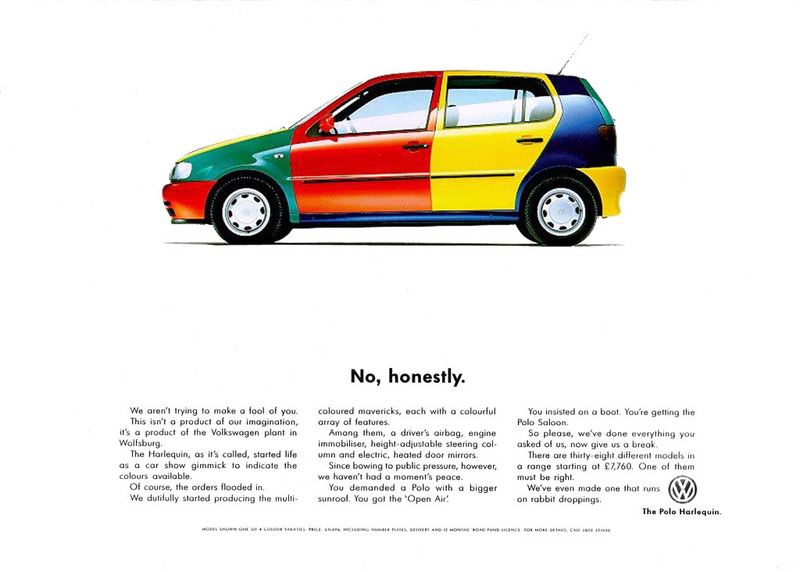 I used to see a 6n Harlequin on a daily basis. I guess that shewed me towards thinking they were more common than they were. I also saw a 6n2 Harlequin recently but I am fairly sure they never made one. Thanks for all your inputs! The episode research is done and ready to record this week. It won't be out for a good few weeks but I hope you have a listen when it's released. There are a ton of episodes already out and a new one each week for those of you who can't wait. Full disclaimer, we often talk about cars that are not shite... There's still some good shite on there. This week has Fiat 131's and Reliant Kittens among other things. For those Americans yes, most repainted by dealerships to get shifted. Also the Brazilians suffered Beetle and Gol Harlequins. Is that a real life one you have there Nigel? 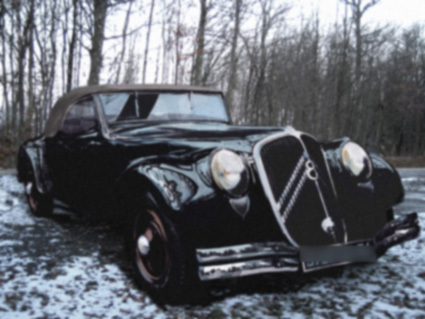 I offer you Citroen's V-8 22CV - shown at the 1934 Paris Salon in Saloon, Cabriolet and Coupe versions. They vanished without trace - almost. Supposedly destroyed or converted to 4 cylinder spec. One car may have been seen in Vietnam. One headlamp shell exists in France.